Would you and your family enjoy a special, VIP tour of the Spanish Riding School in Vienna, Austria? Learn more about a recent experience one of our own travel experts enjoyed at the famed institution. 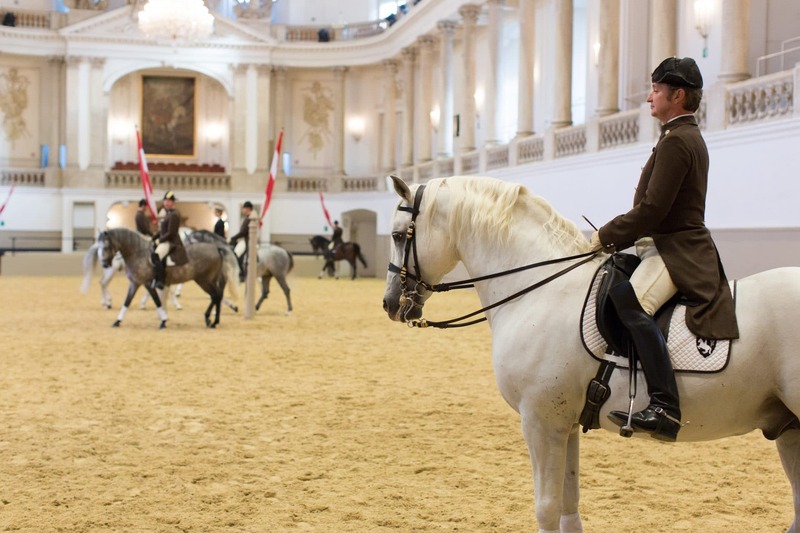 Exeter International travel specialist Leigh was on the ground in Vienna, Austria, where her group enjoyed a private visit to the famed Spanish Riding School. 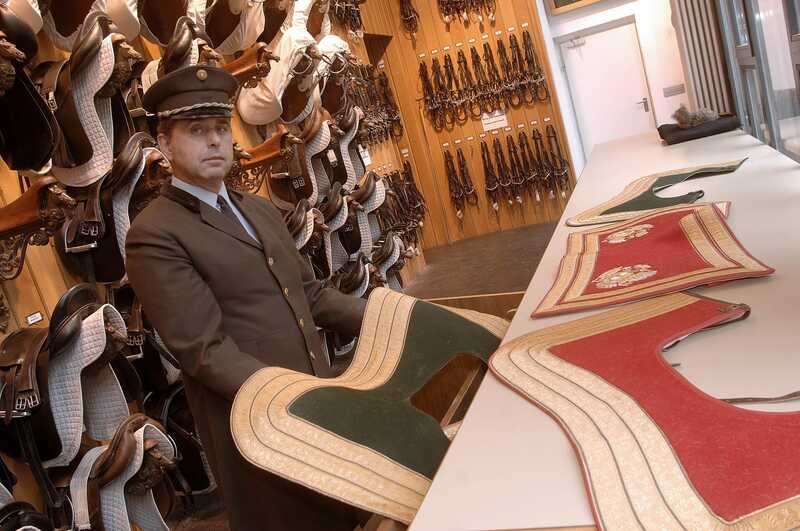 This is the oldest and last Riding School in the world, where classic dressage is still practiced in its purest form. 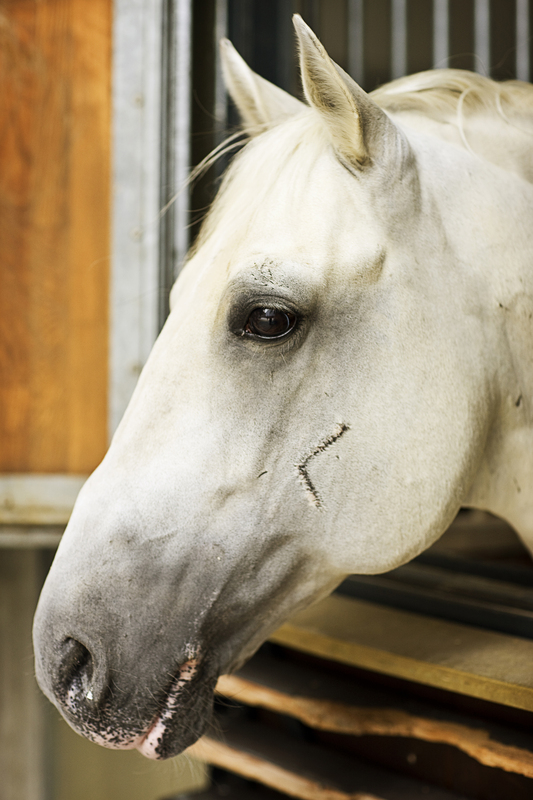 The Institute was founded in 1572, and its very name reveals the fact that the horses who rode in the arena centuries ago were of Spanish origin. The Lipizzaner is regarded as the oldest classic horse race in Europe. 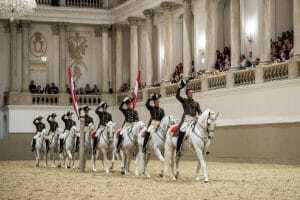 The superb arena – the Winter Riding School in the Vienna Hofburg (Imperial Palace), where the Riders of the Spanish Riding School train the horses and where they perform – was commissioned by Emperor Karl VI. His portrait decorates the white baroque hall built by Josef Emanuel Fischer von Erlach during the period of 1729 to 1735. 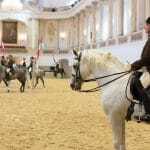 Since 1920, the presentations of classical dressage have been open to the public. Upon arrival, Leigh, our Exeter International travel specialist, and her group were first were escorted to the Emperor’s box in the stadium to watch the morning practice. Above the box hangs a large portrait of Emperor Charles VI, who founded the institution. All the riders, as they enter onto to ring, face the portrait and tip their hat in respect to the Emperor. This makes each guest in the box feel like they are getting a personal greeting from each rider! 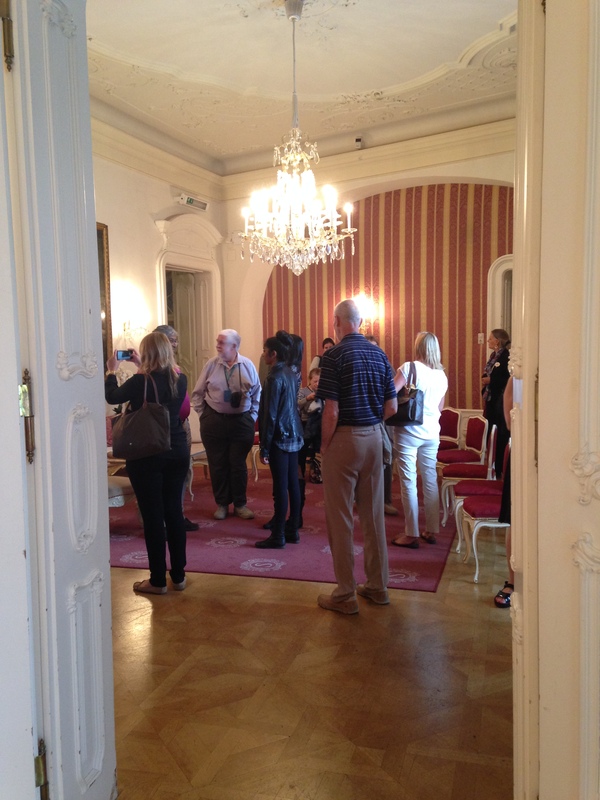 Once practice was over, the group was escorted to a private reception in the former chief riders home. 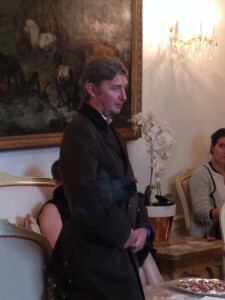 Champagne and canapés were served. 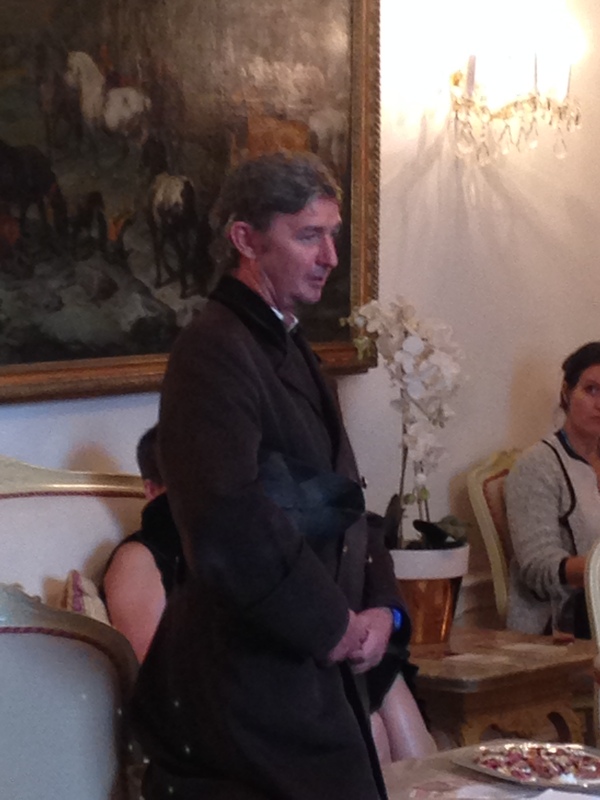 A third generation rider who spoke excellent English shared many details with the group. 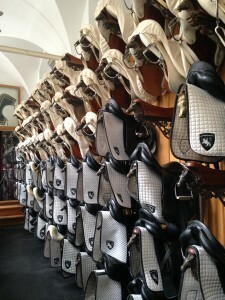 Afterwards, the group was treated to a private tour through the stables and tack room. “It was really special to get up so close to the horses,” says Leigh. Interested in booking your own experience of a VIP tour at the Spanish Riding School? Ask Leigh how you and your family can experience this special visit! Contact an Exeter International travel specialist by phone at (813) 251 5355 / (800) 633 1008 or visit our website to learn more about luxury travel through the leading luxury tour operator.